Parking is available in public car parks nearby including Sainsbury directly across the road from Fredericks. Monday to Thursday from 10am until 2pm and then from 5pm until late. Friday to Sunday from 11am until late. 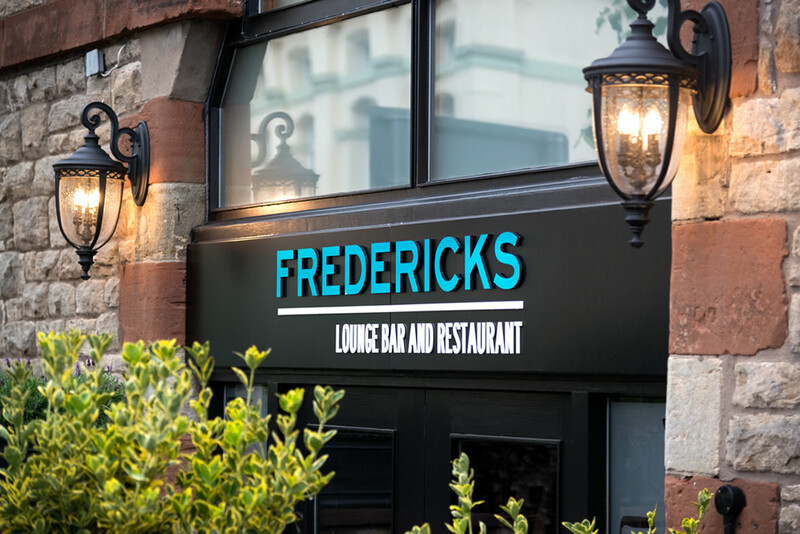 You don’t always have to come for a meal as our extensive cocktail list and a great selection of wines and beers, make our lounge bar an ideal place to indulge in a post-shopping cocktail or share a bottle of wine whilst nibbling on a plate of tapas.